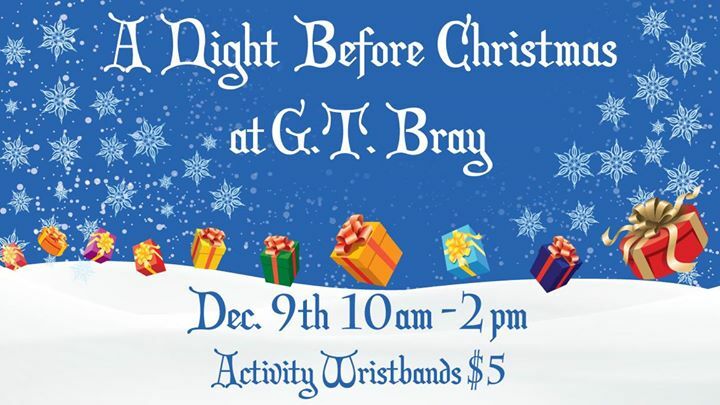 Get ready for family fun at the annual Night Before Christmas event at GT Bray! Santa will be visiting the park to meet with all the children. The event will include face painting, bounce house, snow, hayrides, and much more. This awesome event is great for kids of all ages. The event is free to attend as are visits with Santa. Bounce houses, wagon rides and other activities are available with a $5 wristband.